Hello, Please contact me, I am interested in properties for Rent in Hua Hin. Best Regards. A property in Hua Hin center is the only choice if you want to get the most from all that this seaside resort in Prachuap Khiri Khan province has to offer. Right in the middle of the delightful dining, nightlife, shopping and attractions, Hua Hin center has it all. The beach is just minutes away while the national parks and golf courses are also easy to reach. Being right in the heart of the town, Hua Hin center has an abundance of real estate to rent. Do you fancy a luxury villa? How about a house or townhouse? Maybe a condo or apartment will do the trick. 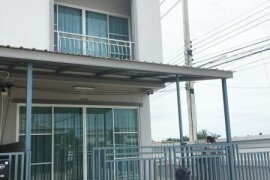 Well, Thailand-Property.com has them all. An effortless but effective search will give you a listing of Hua Hin center rental properties that best meet your criteria. Another option is to make use of our Property Alert function and receive the latest updates on real estate to rent in Hua Hin center. Thailand Property is an online property portal where thousands of property searches happen every day. Start your search today for affordable property for rent in Hua Hin from 1,751 available listings. Condominiums, houses, townhouses, villas, and luxury properties are available for rent in Hua Hin. Hua Hin’s properties for rent are either listed by private home owners or property agents such as Supreme Real Estate Co., Ltd, Accom Asia Co.,Ltd and RE/MAX CondoDee. The average asking price for property rentals in Hua Hin is ฿ 77,026 for houses and ฿ 53,932 for condos. Refine your search to help you find the perfect Hua Hin property by price and number of bedrooms.